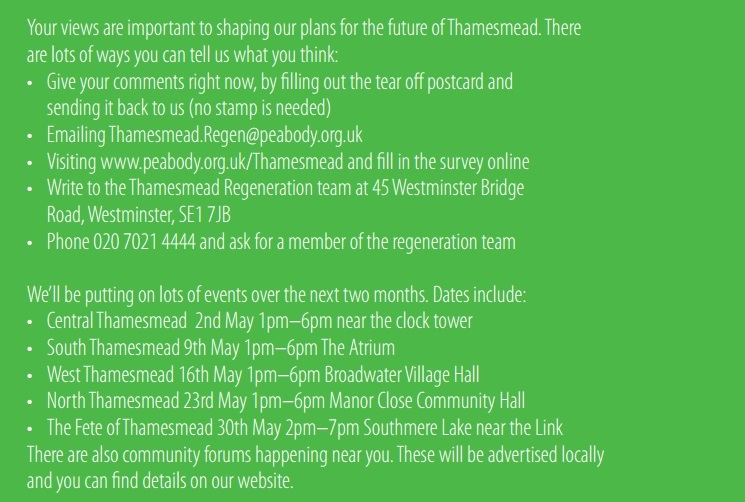 More homes to be demolished at Thamesmead? Last week I wrote about plans to construct 870 homes by Plumstead station. Over at Thamesmead, Peabody Homes also plan to build 450 homes at ‘Southmere Village’, aka the area known as Tavy Bridge and immortalised in A Clockwork Orange and Misfits. The plans see an increase from 300 homes under Gallions’ previous ideas, which I wrote about back in 2012. It’s disappointing to see completion pushed back yet again to 2019/20. Gallions Housing Association originally planned to complete around 2015/16. Peabody Homes took over and begun demolition of the site in 2013, but halted 18 months ago, leaving some areas still standing. Since then completion dates have gone backwards. It’s good to see alterations are being made as Peabody have a far better record than Gallions, but the glacial pace in a severe housing shortage is frustrating. The 450 homes to be built covers the area labelled number 1 on the map above. To the south of this site Peabody are now consulting on demolition of a further 150 homes at Corralline and Evenlode House, including the Barge Pole pub. I really do hope that some of the original, early stages of housing in Thamesmead is retained. This area has the most complex and interesting designs, before they were simplified to save on costs in the following stages of construction. It’s not hard to envisage how great they would look if cleaned and refurbished to look as they did new, when the concrete was as bright white as stone, and the windows had sleek wooden frames. The buildings are extremely well known; they are Thamesmead for many. Refurbished buildings here could be as popular as other 1960s and ’70s buildings now en-vogue. That may seem fanciful, but condemned buildings of the era have successfully been rejuvenated. 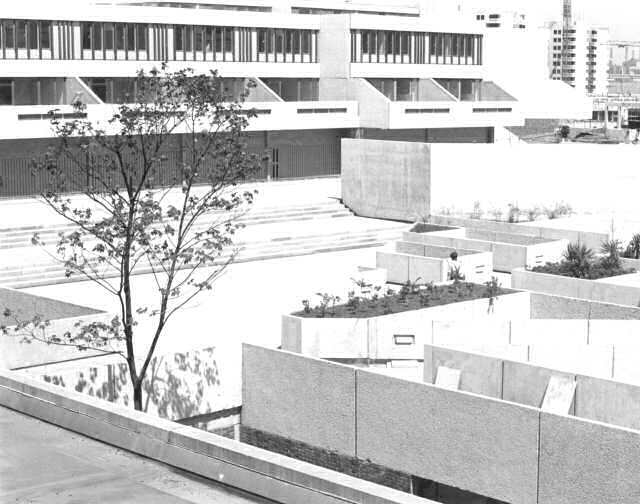 The 1960s Brunswick centre has been revamped and is now extremely successful. We can’t throw away important heritage and momentous design as its been allowed to decline through neglect, and eradicate the best examples in a radical, groundbreaking estate. One major issue is the ‘dead’ ground floor frontages where garages stand, which was necessary due to by-laws as the site sat on a flood plain. Would it be possible to use ground floor garages as retail to alleviate what is one of their biggest problems, or convert all to habitable rooms with street level access? I’ve wrote enough about Harrow Manorway, the road which runs through the forthcoming Sainsbury’s, Cross Quarter, and parts of Thamesmead up for demolition. Peabody and Greenwich Council have mentioned plans for a ‘boulevard’ along here. If that means a wide street with dedicated bus lanes, segregated cycle lanes, shops and high density housing then I’m all for it, away from retained, select areas of 1960s housing of course. 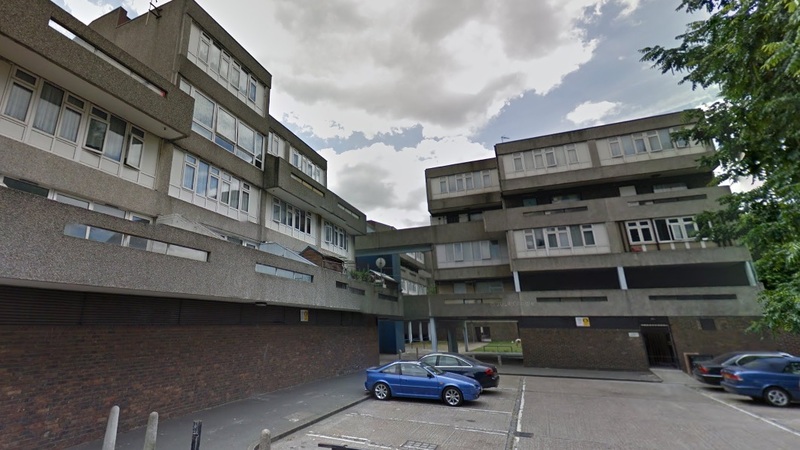 Another area listed for more housing is the Moorings estate in north Thamesmead. I’ve wrote about how this would be an ideal site for a London Overground station on an extension under the river from Barking Riverside. There’s huge housing development opportunity there. There’s much under-utilised land on a large site surrounding the estate, with a crappy shopping parade that makes little use of the canal running through. An LO station near here with new shops, commercial space and housing to help fund an extension? Any housing around here isn’t imminent according to Peabody’s plans and they seem happy with buses for transport for the area. Having buses alone has held back Thamesmead for decades. It will never suffice. 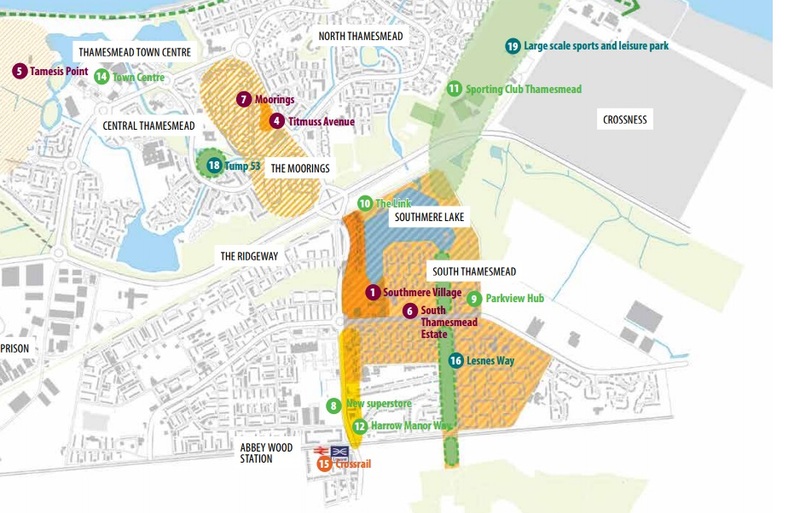 Plans for 2000 homes at Tripcock Point in north Thamesmead are highlighted but there’s an acknowledgement this cannot proceed with insufficient transport. Any DLR extension to Thamesmead of the Beckton branch would connect Thamesmead with little over the the Thames until Canning Town, which is quite a stretch along the line. Yet a London Overground extenstion would link quickly to other London Overground lines at Barking, two tube lines and fast trains to east London and Essex. Far, far better connectivity and options would open up for many that the DLR doesn’t provide. The DLR is hardly great for getting to central London either – it would take 40 minutes to Bank. Not much better than heading to Abbey Wood and taking the train. In addition, the DLR is reaching its capacity and mass housing is planned over the river. A London Overground shuttle from Abbey Wood to Barking could provide high frequencies and capacity. Four trains an hour is unlikely to suffice, so perhaps a shuttle across the Thames would provide justification for the expense and much more capacity. When looking at Thamesmead’s current isolation there’s already a good case for it. Add in 14k more homes at Thamesmead alone (let alone thousands more at Abbey Wood, Plumstead, Belvedere and Erith) and the case looks stronger. Crossrail alone does not offer great links to much of east / north east London or Essex. It still means travelling far into London then out again. Then we get back to the age old point – Abbey Wood Crossrail station is just not very close to much of Thamesmead, which is cut off by the Southern Outfall sewer and a dual carriageway. Painting a pedestrian bridge will never tempt that many to walk or cycle. Further masterplans are due in coming months which I will be keeping an eye out for. Much to be welcomed in initial plans then, but some disappointments such as the long time span and delays with new housing. A lack of ambition for transport is another. I’d like to see more vocal lobbying from Peabody Homes as well as Greenwich and Bexley councils on that. Still, early days and much more information and changes to occur in coming months. I was housed in a tower block on Wolvercote road as a key-worker and lived there for nearly 20 years. I really couldn’t wait to leave. There needs to be major change and this will prove very difficult. There was no sense of community, high levels of crime and major issues with youth cultural difficulties and post code gangs.. The walkways and subways have always been an issue. Educational standards and work prospects not at all good. Drug use +++ and I would think that there hasn’t been a significant improvement in that area of Thamesmead within the last 6 years. Demolition and appropriate rebuild may help but without a sense of community……….unlikely. I don’t live in the Thamesmead/Woolwich area any more and for that, I am truly thankful. I would like to know when will seacourt road and portmeadow walk housing demolition take place?